The Butcher Shop at Zombies Playground is prepared to offer you Arms and Hands both, whenever you need them. It doesn't matter if you need zombie hands or human hands, full arms or just fingers. You can find it all, as well as so much more, right here. 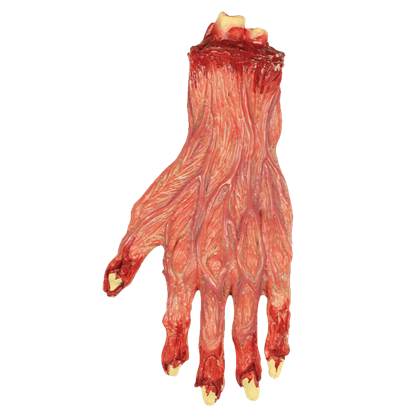 There are so many uses for a hand, and the sheer number of the uses doesn't decrease, even when the hand is severed from the body. 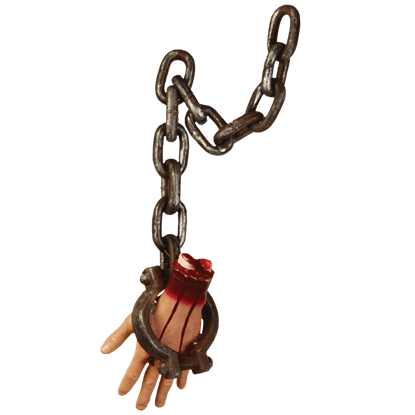 Our own severed hands and arms come in a variety of shapes and sizes, ranging from almost full-length arms that are cut off mid-bicep to hands that are severed at the wrists. Some are zombified and tinted a variety of unhealthy skin-tones, while others are perfectly human and perfectly healthy, except for the fact that they've been removed from their original body. Others are wrapped in bandages or served on meat trays for your viewing pleasure. 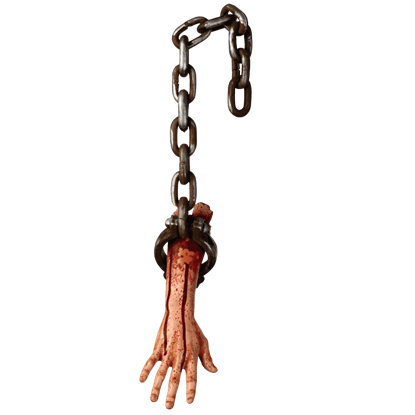 We even offer severed fingers, all for the purpose of providing you with a number of truly spooky and eerie limbs that you can use for your own zombified purposes! Each severed limb offered here is a prop only, and is made from plastic, foam, or latex (or any combination of the three). So come on down and visit the Arms and Hands section of The Butcher Shop at the Zombies Playground, and see if we have any limbs that you might find appealing and useful for your own needs. Anytime during a zombie outbreak when someone offers you a helping hand, you might want to think twice. The helping hand they offer might just wind up being a Severed Biohazard Zombie Hand, and a hand like this is no help at all. 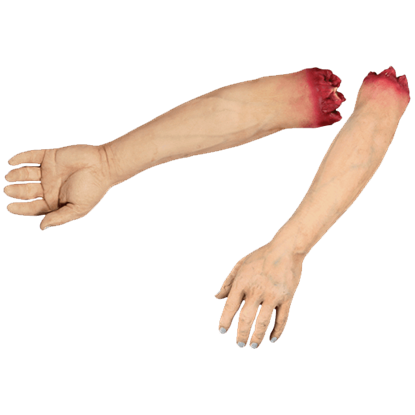 There is a certain expectation that comes whenever you look at something named the Skinned Arm. 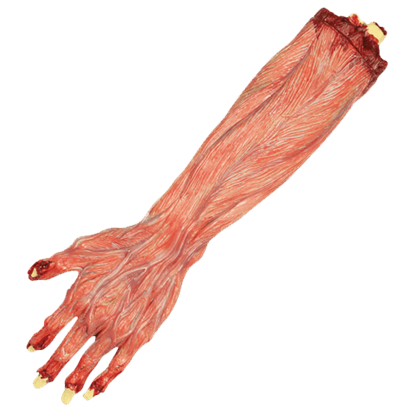 This prop does not disappoint, featuring the gory look of an arm that has had every inch of skin peeled off, leaving only muscle visible. 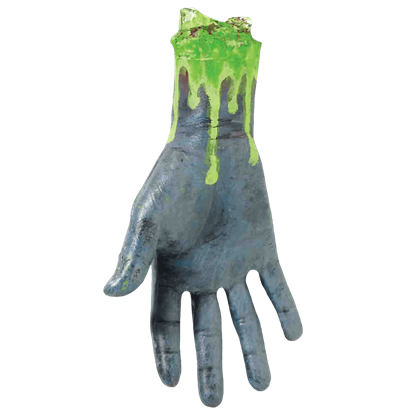 Slip this hand up your sleeve and offer it up any time you greet someone on Halloween to give them a start they will not soon forget! This Skinned Hand looks like it has been through a torture chamber and has come out worse for the wear.